Jay graduated from The University of North Dakota with a Master’s Degree in Physical Therapy in 2001. 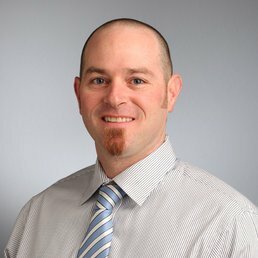 He is a certified ASTYM practitioner and APTA credential clinical instructor. He is also a bicycle-fitting specialist and enjoys finding ways to help people continue to cycle with physical limitations. His rehabilitation interests include shoulder and lower extremity mechanics. When not working, Jay enjoys all outdoor activities Idaho has to offer. Sports medicine is a multifaceted discipline incorporating the diagnosis, treatment, and prevention of athletic and activity related injuries as well as the study and development of performance enhancement programs and devices.